Welcome to our products section. Here you will find a listing of all of the products that we currently have available for selection. To make it easy for you we have arranged the merchandise into Burial/Entombment and Cremation categories. Here you will find all the products you will want to consider for the type of funeral you are looking for. Each of the categories is further broken down to more specific offerings such as Caskets, Urns, Vaults, Jewellery etc. If there is a specific product you are looking for and do not see it listed, please call us and we will make every effort to accommodate your request. Feel free to call 416-251-7531 to receive a 30 day guaranteed quote. At the G.H. Hogle Funeral Homes Ltd. we are committed to providing both products and services that promote environmental responsibility by implementing practices and products that are sustainable, sensible and practical. Here you will find a listing of all of the products that we currently have available for selection. 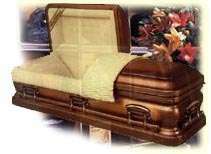 When it comes to the selection of caskets and urn to house the cremated remains, they needs become very specific. Are you looking for a beautiful way to safeguard a loved one’s cremains, a lock of hair, or other memento? Browse our selection of modern and traditional keepsakes.